“Watch ‘N Play” is a skill based online game which is being hosted and can be played on the Hotstar Application which is owned and operated by Novi Digital Entertainment Private Limited. Hotstar App Users are eligiblec to participate. Existing Hotstar Users who wish to participate need to upgrade the Hotstar App to the latest version to access the Game Play. New Hotstar Users can access the Game Play by downloading the Hotstar App from the Play store / App Store and accepting the Rules and Regulations of the Game Play. (iv) be of sound mind and health. The Participation in the Game Play will be governed by the Indian Data Privacy requirements only. ** New Hotstar Users will be allowed to register on Hotstar with their phone numbers only. ** Existing Hotstar Users may log in to Hotstar with their phone number or with email ID/Facebook login. ** By Participating in the Game, the Participant allows the Company to access and display personal information such as name, city location, photo in the Social Feed, Leaderboard(s) and/or any other marketing activity. ** The city location of the Participant may be displayed during the Game. ** By logging in through Facebook, the Hotstar User allows the Company to access the information available in the Participant’s Facebook account. ** The Participant can change this by changing the privacy settings of his/her Facebook account. The Game Play Points shall accrue to the Unique Identifier linked to the Registered /un-registered User. The Participant will be able to login through multiple Devices using the same login phone number/email ID/Facebook ID. However, the Points will be accrued and associated to one Unique Identifier only; the first response for every question captured on the Hotstar servers shall be considered for scoring, Prizes and Leaderboards. New User The Points will be accrued to an unregistered Unique Identifier till the User registers. The Points and Prizes will be transferred to the same Unique Identifier post registration. Playing as a logged in User, logging out and then playing as guest (un-logged in) User The Points will be accrued to a guest Unique Identifier till such time that the User does not register/logs in. The Points and Prizes will be forfeited once the User logs in with the registered phone number/Email ID/Facebook ID/ as the login details of this ID are associated to a different Unique Identifier. 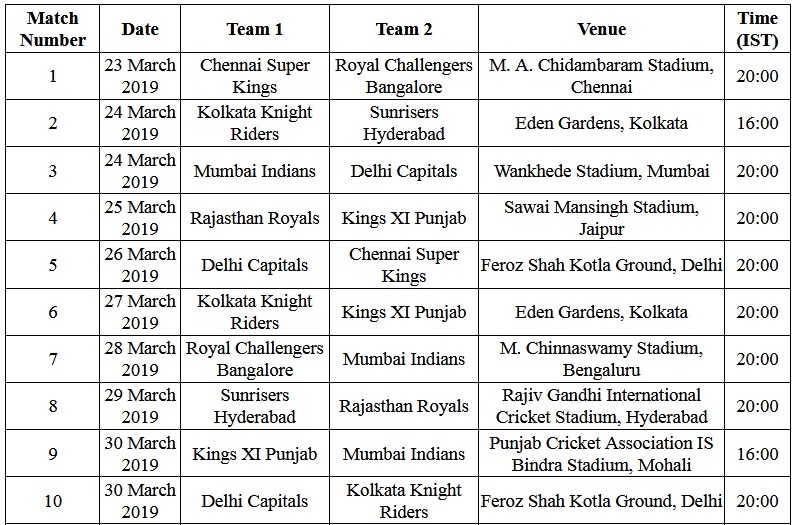 Please note that the Hotstar App download is free of cost, however, the viewing of the Match, live or otherwise, along with access and play of the Game shall consume data and is subject to Hotstar subscription packages. Therefore, the use of the Hotstar App and the Game Play will result in the use and consumption of data for which data charges as charged by your internet/telecom operator may apply. For further details, please contact your internet/telecom operator. It will be responsibility of the Hotstar User to understand and enquire charges as may be applicable with his/her internet/telecom operator. In case any Participant uses the Hotstar App or plays the Game while roaming in a different circle/zone, additional roaming rates may apply. Please contact your internet/telecom operator for applicable rates. For full schedule, kindly refer the contest terms link given below. ** Each Trivia Question will have 3 (three) answers options to choose from the points associated with each trivia question will be indicated next to the question on the screen. ** The outcome in terms of total runs scored by a team on any given ball would be considered as the right outcome of contextual questions, except in cases where the final outcome has resulted in the loss of a wicket. The Participant wins Points by answering Contextual and Trivia questions displayed on the Participant’s Device during the Game Play within each Round. Points associated with each question shall be displayed on the active Game Play screen. All Participants are eligible to win Round-wise Offer Prizes during the Game Play. Each Round may consist of one or more Overs and the Participant is eligible to win one or more Prizes within a Round. Each Round may be broken up into one or more sub-Rounds with Points allocated for each sub-Round that needs to be accumulated by the Participant. 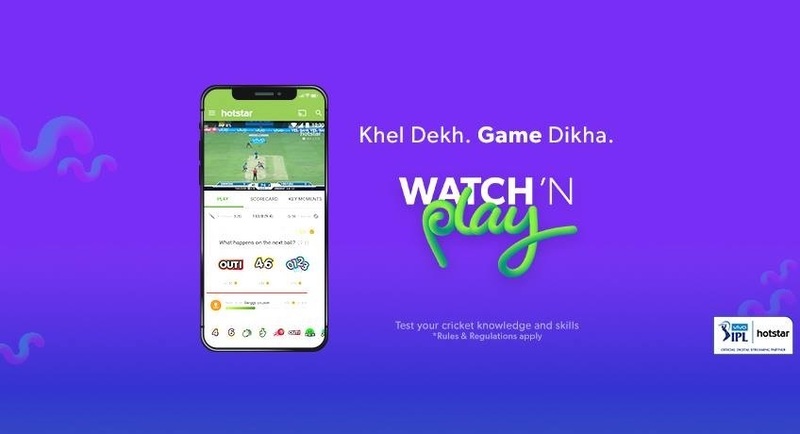 For VIVO IPL 2019 Watch ‘N Play, the Game includes a Social Feed to enable a chat platform for social commentary and immersive playing experience during the Game. A Participant is encouraged to share cricket and IPL related comments which may be made visible to all concurrent Participants.